Vinyl Flooring Bristol | Carpets not for you? Here at carpet hub we have noticed the increasing popularity of vinyl. With this product comes many different effects for example stone and slate shaded, wooden shades, some patterns will also have a type of mimid tile floor finish and then we also have the extreme creative designs. Another great plus is that it come in 2,3,4 and 5 meter width which will help save money and waste. Vinyl comes in different thickness to suit all areas. There is lots of plus points when it comes to vinyl flooring which includes being waterproof , easy to clean and Hygienic as this is important as especially with pets and children around. Another fantastic feature to vinyl is the fact that it does provide heat and sound insulation which weather you need to generate more heat or help soundproof a drum kit is an attractive idea for any home. Vinyl flooring used to be very basic but especially over the last 10 years or so it has become one of the first choice flooring and is now being seen to be put in lounge diner rooms along with kitchens and bathrooms. Vinyl is warm under your feet and can last for Many many years and best yet is a very affordable type of flooring. We have many samples in our showroom again to cater all styles and price. Along with this we will give you expert advice prior to fitting to check your floor is level for vinyl to be fitted and if not will recommend the appropriate action weather screeded or hard boarded or glued to make sure the best job is done. We provide a measuring service to make sure your sizes are correct along with the state of your floor. Feel free to drop us an enquiry and we happy to guide you to make the right choice on the type of vinyl you want. We have fantastic new multicoloured ranges in at the moment with an ever increasing popularity in the wacky styles which we are all for! Vinyls are coming in new thick and fast so check into our blog or call to find out what’s hot and new. Vinyl can be very cheap,as usually the room sizes are small enough. Be sure to check our discounted vinyls in our showroom or call us or email so we can quote you or run through stocks. Once this winter time comes vinyl flooring. Will not change. Styles generally stay the same . It’s making sure the flooring suits the lifestyle and the home of the customer. 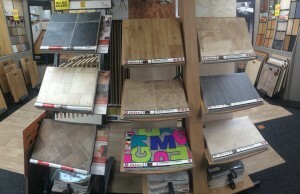 At carpet hub we also do discount vinyl flooring to help suit those tight budgets. We pride our selves making sure our customers do get the best deal. Below are points to illustrate how vinyl can be useful in your property. – Water resistant. Ideal for kitchen and bathrooms especially as a lot of water may always be present. – Affordable . 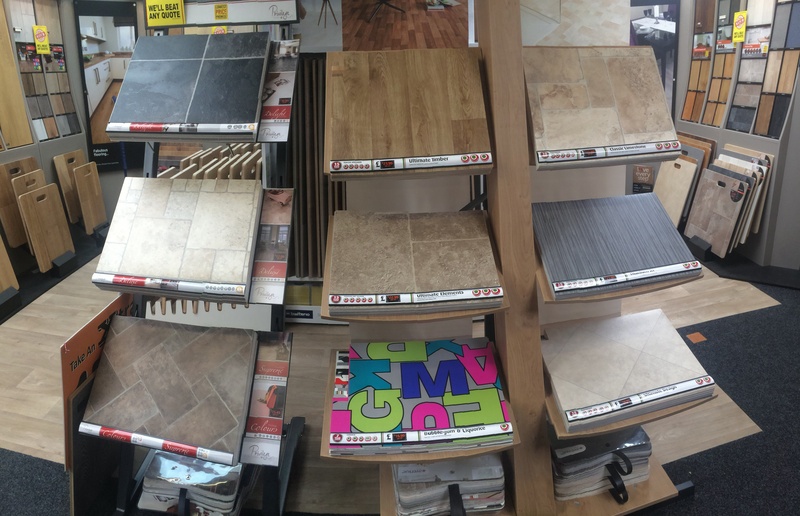 With our fantastic pricess we have ranges to suits all flooring budgets.